Estepona, with its 21 kilometers of magnificent beaches, is located west of the province of Malaga. Its location, between sea and mountains, make the city an environment with many attractions and possibilities. Its Mediterranean climate, with an average temperature of 17 degrees, is continuous demand of tourists, especially during the summer. It has a population of about 60,000 habitants, in continuous growth, highlighting the multiculturalism of the area. 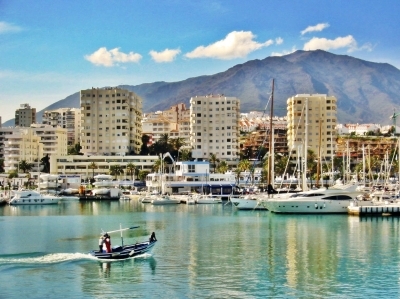 Besides tourism, Estepona has fishing and agricultural activities. 4.6 of 5 based on 1353 votes.